I do not know another person, among the modern artists, who is more modern than he . . . I will counsel [collectors] to collect precisely Béraud’s pretty canvases, without which it would be very difficult to accurately write the history of our time (Louis Énault, "Le Vertige," Paris-Salon 1882, Paris, 1882, n.p.). "Paris is Jean Béraud’s passion, his mistress, his idol. He knows and loves it in every corner ‘et meme dans ses verrues’," (Ishmael, "French Painters ‘Chez Eux’," The Illustrated American, vol. 3, September 20, 1890, p. 547). Abandoning his law studies in 1870 at the outbreak of the Franco-Prussian War, Béraud entered the Paris studio of the esteemed painter Léon Bonnat (1833-1922) after briefly serving in the military effort. His Salon debut in 1873 began a long, successful, but not exclusive relationship with that institution; Béraud was also a prize-winning member of the Salon des Artistes Français, a member of the Société des Pastellistes Français, and a founder of the Société Nationale des Beaux-Arts, with works being regularly exhibited at the Cercle de l’Union artistique, the Cercle artistique et littéraire, the Cercle des Mirlitons, the Société internationale des peintres et des sculpteurs, and several international venues. In 1889, Béraud won a gold medal at the Paris Exposition Universelle and, five years later, was made an Officier de la Légion d’Honneur. His cosmopolitan background – he moved with his family from St. Petersburg to Paris after his father’s death in 1853 and studied at the respected Lycée Bonaparte (later Lycée Condorcet) – gave him entrée into some of the most important aristocratic circles of the Belle Époque. Charming, eloquent, and always impeccably attired, Béraud soon found himself at the center of Paris’s glittering social scene, and on a calculated path to extraordinary art historical fame. As one contemporary observed, he “knows exactly what he wants and where he is going. He is not just anybody,” (Paul Leroi, “Expositions,” L’Art, vol. XXIV, 1881, p. 309). Béraud’s immersion into Parisian society was reflected in the style and subject matter of his art. By the 1890s, his name had become synonymous with pictures of that city’s modern urban landscape, and in particular with its newly reorganized and expanded boulevards. (During Paris’s “Haussmannization” of the 1850s and ‘60s, hundreds of miles of small narrow streets, especially in the city center, were altered to make way for 85 miles of wide, tree-lined avenues and boulevards.) Indeed, of the nearly 500 works that Béraud created during his long and prolific career, which also included many years as a successful illustrator, the majority are variants of this metropolitan theme. The restrained palette, sense of immediacy, and precision of neutrally observed geographic, cultural, and figurative detail in these celebrated images – from the most fashionable of society women to the chestnut sellers and prostitutes on the iconic streets they promenade down - demonstrate Béraud’s firm grasp of the competing trends of Impressionism and Realism in Paris at this time; in his paintings, they come together to create a unified and instantly recognizable vision of late nineteenth-century French life. Despite his visibility and reputation as a social butterfly – he was once called “a right good, rattling, rollicking fellow” - Béraud retained an air of remoteness and isolation. He never married and had no children, and no letters to family survive. In later years, before declining health halted his work altogether, Béraud embarked on a series of controversial images depicting Christ in contemporary settings, as well as, between 1905 and 1914, portraits, domestic interiors, and a series of women fencers. The marked decline in enthusiasm for these pictures did not seem to injure his public standing; the words delivered at Béraud’s funeral bear witness to the enduring regard that was felt for this artist and his work: “For half a century, [Béraud] observed the life of the capital . . . [His paintings are] a source of precious information about a period which, although close to us in years, already seems peculiarly distant, due to the many transformations that followed it. For this reason, Béraud’s oeuvre has a place not merely in the history of art, but in History itself,” (“Nécrologie. Jean Béraud,” Le Temps, October 8, 1935). During Béraud’s lifetime, his reputation in the United States nearly exceeded that in France, despite his characteristically outspoken (and often humorous) remarks about the questionable taste of acquisitive American millionaires and their wives. Today, Béraud’s works are regaining their former popularity, and can be found in major museum collections worldwide. Gallery 19c has in its inventory one of Béraud’s most characteristic yet exceptionally intimate depictions of the Parisian boulevard – in this case, the famed Champs-Élysées - painted at the height of his success in ca. 1890. 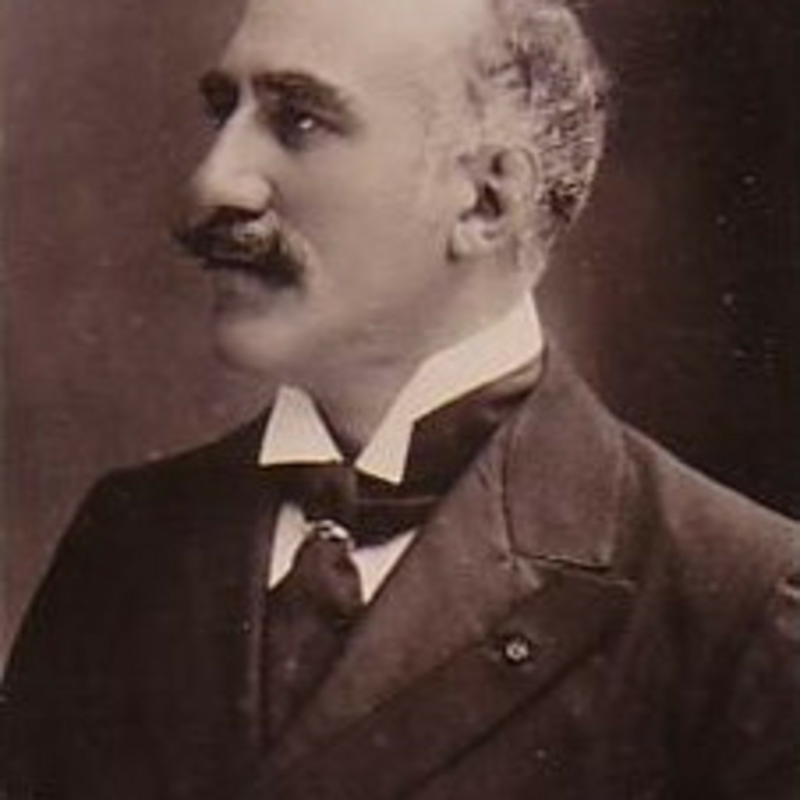 Béraud’s good friend Marcel Proust (1871-1922) called him “a charming creature sought, in vain, by every social circle,” (Dominique [Marcel Proust], “La cour aux lilas et l’atelier des roses: Le salon de Mme Madeleine Lemaire,” Le Figaro, May 11, 1903, republished in Contre Sainte-Beuve, “Bibliothèque de La Pléiade,” Paris, Gallimard, 1971, pp. 460-1). Ishmael, “French Painters ‘Chez Eux’,” The Illustrated American, vol. 3, September 20, 1890, p. 547. The decline in Béraud’s popularity as an artist was not absolute. As late as 1909, one contemporary critic offered the following, optimistic prediction: “M. Jean Béraud is a fortunate painter, who is lucky enough to provoke universal interest. It is to his works that the public – both the connoisseurs and the crowd – are immediately attracted. One year, at the Champ-de-Mars, security guards had to be stationed in front of his exhibits. Some are seduced by the ingenious and witty way in which his paintings are conceived, others are conquered by the brilliance of his distinguished palette, the confidence of his draftsmanship and the mastery of his brushwork. Today, I think, there will be a great throng around the four works he has submitted [to the Salon] [. . .]. I know more than one person who will go to the Salon just to see the paintings of Jean Béraud,” (H. Ayraud-Degeorge, “Les Salons de 1909. Société nationale des beaux-arts,” Le XIXe Siècle, April 15, 1909, p. 3).